This was an email I received from Change.Org in regards to the arresting of a 6-Year old who had a temper tantrum in class. This story is Truly unreal and you have got to read this email. This story is truly unreal and to be honest I really don’t have to many words for this nonsense. What kind of world do we live in where a baby can get arrested for simply acting out as a child would do. Please read the story and if you are sympathetic sign then feel free to visit change.org and sign the petition. Salecia Johnson is six years old. On April 13, her teachers say she had a temper tantrum in class — but instead of putting her in time-out, the school called the police. Salecia was handcuffed, charged with battery, and kept in police custody for an hour before her parents found out what was going on. 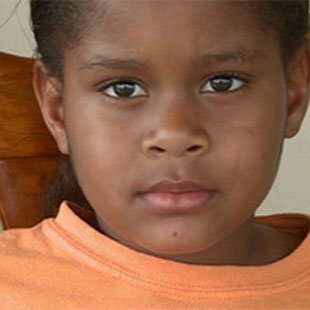 Though all charges have been dropped, Salecia — a 6-year-old — now has an arrest record. Salecia’s mom, Constance, says that “Salecia has been traumatized by this experience. She’s afraid to return to school and recently woke up in the middle of the night saying ‘they are coming to get me.‘” Constance wants to make sure that this incident won’t affect Salecia’s future, and she wants answers about why police officers were involved in the first place. So Constance started a petition on Change.org demanding that Salecia’s arrest be removed from her record and that Creekside Elementary pledge to stop involving police in school discipline. Constance believes that what happened to Salecia is part of a larger problem. Schools across America are adopting “zero-tolerance” policies that are making police involvement in school disciplinary matters more and more common, according to the Advancement Project, a group working with Constance’s family. If thousands of people sign Constance’s petition, the police and the officials at Creekside Elementary will see that they can’t arrest and handcuff a six-year-old girl without facing public consequences. Schools around the country will take notice — and Constance hopes there won’t be another child that faces what Salecia did. Click here to sign Constance’s petition demanding that Salecia’s arrest be removed from her record and that Creekside Elementary pledge to stop involving police in school discipline.